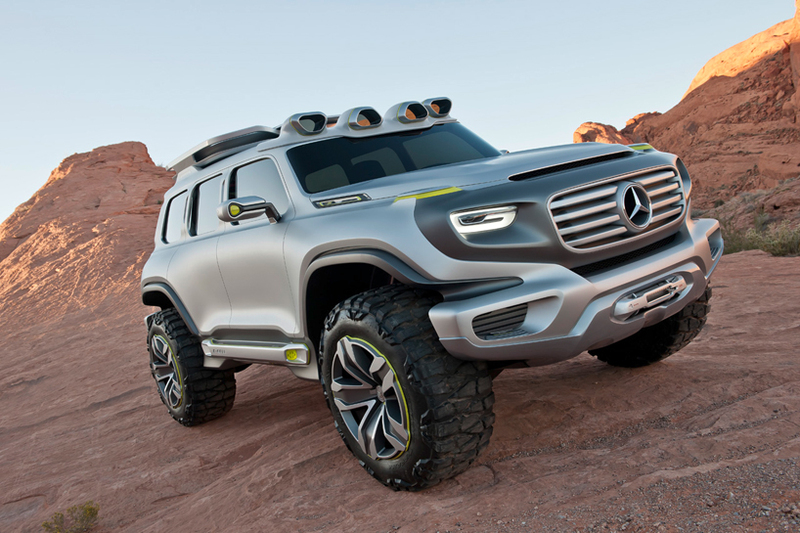 Mercedes-Benz’s official entry into this year’s LA Auto Show Design Challenge, will be the Ener-G-Force SUV. The theme of the design challenge was futuristic Highway Patrol Vehicle, based on which participants were expected to come up with vehicle designs for the year 2025. Mercedes seems to have gone one step ahead and built an actual vehicle based on the renderings. This one is, however, in civilian guise. Designed by Mercedes-Benz’s Advanced Design Center in California, the Ener-G-Force SUV concept will be seen at this year’s Los Angeles Auto Show which is to be held later this month. There is no doubt that this bold and unique new design is futuristic in many ways, but its not just the design that is futuristic. This Patrol Car of 2025 is envisioned to be powered by a hydrogen fuel cell that will run on water. Hydrogen will be extracted from water using a so called ‘Hydro-Tech Converter’ and the electricity generated will power four motors to run each wheel. This entry was posted in Car Models, Events, Industry and tagged Mercedes Ener-G-Force SUV Concept, Mercedes Ener-G-Force SUV Concept design, Mercedes Ener-G-Force SUV Concept images, Mercedes Ener-G-Force SUV Concept LA Auto Show Design Challenge, Mercedes Ener-G-Force SUV Concept pictures, Mercedes Ener-G-Force SUV Concept renderings. Bookmark the permalink.